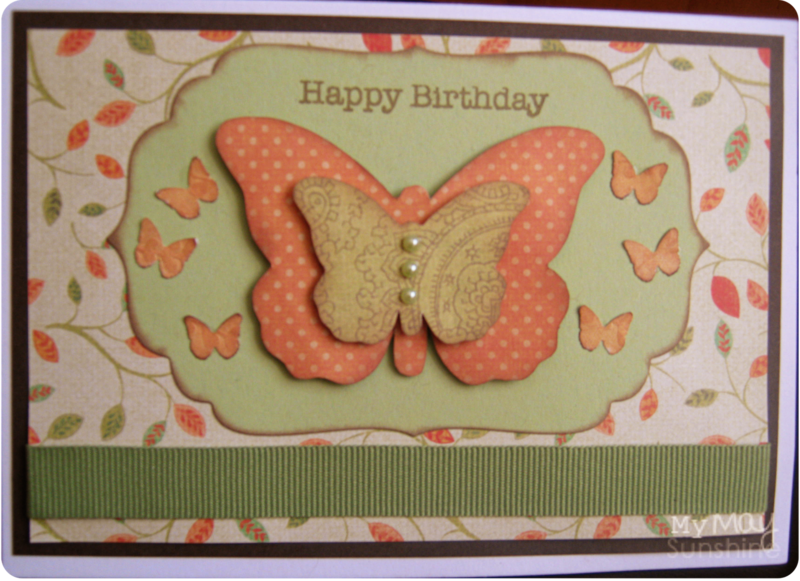 When I came across Wendy Mckee’s blog post last year about how she would trace around butterflies from the Internet or die cuts to use in projects I thought was a great idea as you can get so many shapes of butterflies and would bring a bit of diversity to the cards. I had some die cut butterflies from Jenni Bowlin and didn’t want to give them up too soon so I just traced around them and cut them out. That was how I got the two middle butterflies. I don’t have a digital cutting system or very many dies for die cutting so sometimes you just have to think outside the box. Previous Post Organising and storing DVD’s.